Today is the shortest day of the year so I was up before sunrise and headed off to the market. 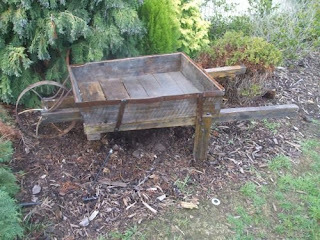 I found this gorgeous hand made wheel barrow - Made from recycled timbers and iron. I have some perfect plants ready to be potted up to live inside. I just had to have it. Whilst there I also purchased some Watsonia bulbs. 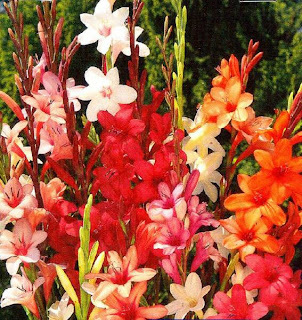 I remember seeing Watsonia on someone's blog awhile ago and loved them - The old lady who sold them tells me that there are White, Pinks and Burgundy in the bags that I have. I will plant these tomorrow. And from the same stall I purchased some Tayberry Bushes. 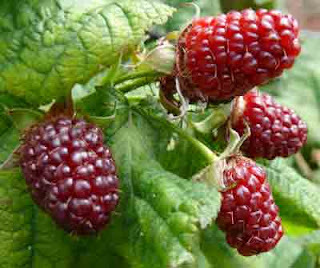 They are longer in shape than raspberries and bigger but apparently taste similar? I will have to get Rod to build me a trellis to plant them on - Hey Cheryl - I can hear you laughing from here.......... He will try anyway. I have been busy this weekend making up my item for the Paper Bag Swap. 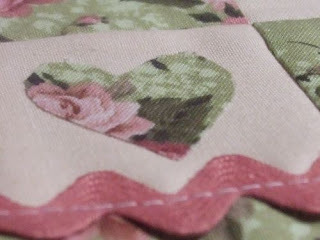 My partner Beth sent me this lovely rose fabric to make her something from, along with some Pink RicRac, Green DMC, Cream Homespun and a few buttons. I decided that if I was going to make something from all of these bits that I would design something from scratch so I did. Here is a sneak peek. I am pretty pleased with the result and hope that Beth likes it. 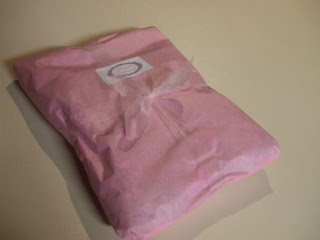 Here it is all wrapped up and ready to be posted tomorrow. 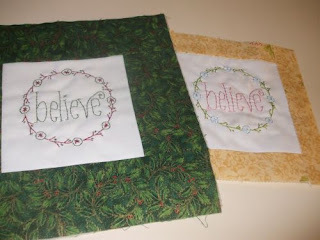 I have also finished my two "Believe" blocks this weekend. 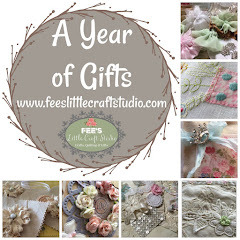 I am looking forward to putting these together - Not too far away from finishing now. 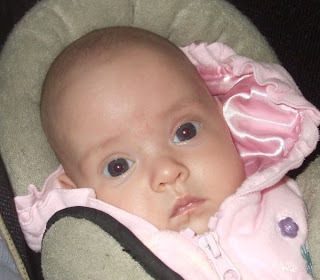 This is sweet little Maddie who is 3 1/2 months old now and weighs 11 pound 3 ounces. She came to Grandma's for a visit yesterday and posed for this shot. 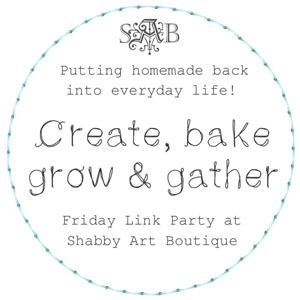 Tomorrow is a day off - I hope to get a few hours of sewing in but you know about the best laid plans and all of that ......... fingers crossed anyway. 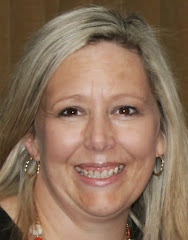 Great to hear from you Fiona and all that you're up to! So good to see Maddie! What big eyes she has! She's gorgeous. Your paper bag swap project looks intriguing. Wonderful pics, all of them. Love the Wheelbarrow ..they look Great in the Garden....Maddie is Gorgeous..Nice you got some "Nanna" Time..
Love the wheel barrow!! It will look great with plants/flowers in it. Maddie is beautiful. I love the wheelbarrow.